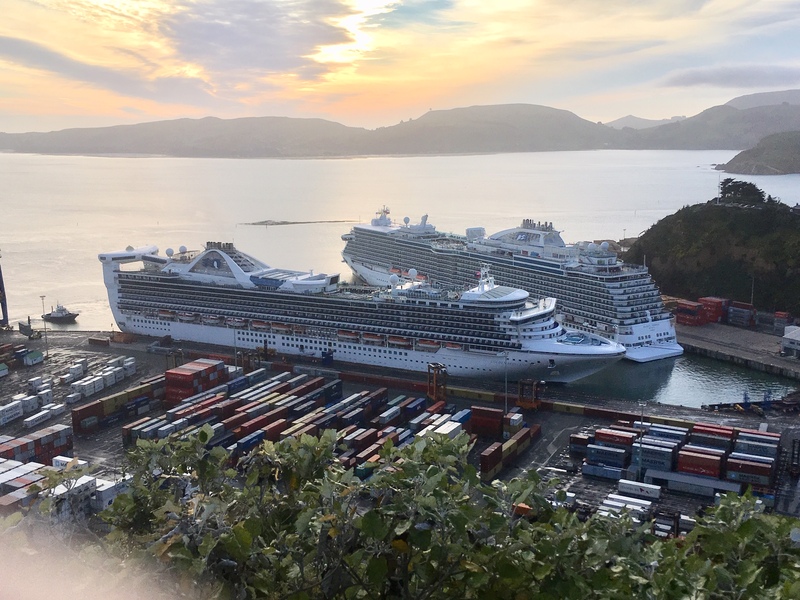 Cruise ships Majestic Princess and Golden Princess have arrived in Port Chalmers this morning. Majestic Princess, with a capacity for 3560 passengers and 1346 crew, has berthed from Milford Sound, and is set to sail for Akaroa at 6pm. Golden Princess, with a capacity for 2624 passengers and 1100 crew, has also berthed at the port, from Akaroa, and is due to sail for Fiordland at 5pm. The ships arrived into a calm Otago Harbour under slightly cloudy skies. The visits are part of a bumper cruise ship season for the city in which more than 120 liners are expected. The central carriageway of the Octagon will be closed to regular traffic today, as the Dunedin City Council trials it as a cruise ship drop-off/pick-up area. i-Site manager Louise van de Vlierd said shuttles from the two ships, with a combined total of up to 6000 passengers, would arrive and depart from there.